Our small family farm in South Georgia raised beef cattle, hogs, row crops, and enough vegetables for our family and friends. Hard work was a way of life, and HF Johnson Jr., our Patriarch, worked a fulltime job as Appling County’s Education Superintendent while managing the farm on evenings and weekends. HF’s legacy lives on as his son, Alan, as well as his grandsons, still farm, grow vegetables and pecan trees today. 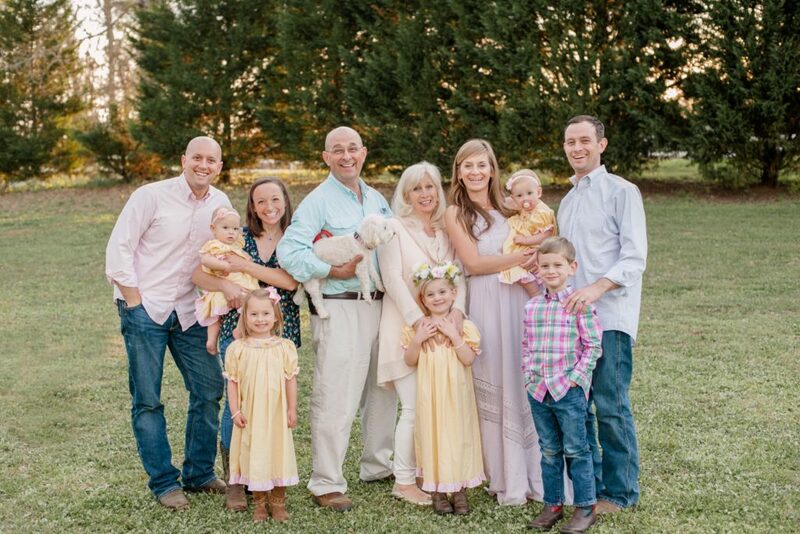 We left the farm life to pursue careers in postsecondary education at the University of Georgia and to start a family in the big city of Atlanta Georgia, then moved to Birmingham in 2008 with a job opportunity with Virginia College. Our world changed forever February 12, 2015 when Renee was diagnosed with Stage 2 Breast Cancer. Statistics show one in eight women will experience breast cancer and one in seven men will experience prostate cancer in their lifetime, but when you hear that “C” word, it gets real, and personal. Two surgeries and much research later, we realized that we are what we eat and our ability to fight disease was directly affected by our diet choices. As we had left the simplicity of farm eating, and spent a lifetime eating processed and convenience foods, we had changed our body’s ability to fight disease. As we sought more fruits and vegetables for our diets, we found the BEST from our local farmers. As we experienced the health benefits of eating better- incorporating more naturally grown fruits and vegetables and grass fed meats into our diet and began growing some of our own natural produce, we realized there was a need to bring more of this to our community here in Shelby county. As John Maxwell states, “if you know your why, then you find your way” and the concept of the MarketPlace at Lee Branch was born. To help friends and neighbors in our community live healthier lives by bringing fresh natural produce and farm products to our community was the goal and educating them on what we had learned about better food choices was a natural fit for us as teachers and educators. We are excited to bring the MarketPlace at Lee Branch to our community, and yes, it’s personal for us. We hope that the farmers you meet, the education you learn through the cooking demonstrations and nutrition classes, and the community you experience through fun events for will add value to your life and contribute to the health of you personally and the health of your family and our next generation.